Recently, my LabLike colleague Marek and myself attended the Warsaw-basedÂ Slavic Game Jam, a big (probably the biggest) Central European gamedev hackathon. Weâ€™ve entered the 48-hour rapid game creation compo. You know, one of those where you get a theme to follow and very limited time to make it into a game. This particular jamâ€™s theme boiled down to three words and an exclamation mark: â€œJust DO it!â€. So, we just did it. We didnâ€™t win the compo (although we did came in second in the â€œqualityâ€ category), but we came out of it richer by two things â€“ some thoughts on the process of indie game development, and this here gravity-defying platypus. We want to expand the game a bit before we share it with the class, but what I can share right now, are the thoughts on game development. A 48 hour game jam is quite an extreme situation, but my observation applies to indie game projects in general. They arenâ€™t getting finished. People often abandon their creations before they even become playable. I see a simple solution to that. Again, it boils down to three words:Â â€Minimum Viable Productâ€. To put it differently â€“ make the game playable from start. It seems that many indies struggle with that concept. Iâ€™m sure everybody did at some point. Hell, I know I had to the same problem many times. I could try and explain in length what the Minimum Viable Product approach is about and why is it important, but this is one of the cases when one image is worth a thousand words. See? Now take that and try to apply it to your game. Donâ€™t start with creating the backstory, the menus, or the backdrop graphics. Kick off your project by figuring out the basic mechanics, so you can â€“ yourself! â€“ play the very basic prototype from the very start. If itâ€™s going to be fun for you it will keep you interested in your project. It will give you the motivation to expand it, to explore the possibilities, to build around this playable core you already have. And if at some point youâ€™ll decide you donâ€™t want to work on it anymore, youâ€™ll be left with something resembling a game, not a hot mess of miss-matched assets and regret. 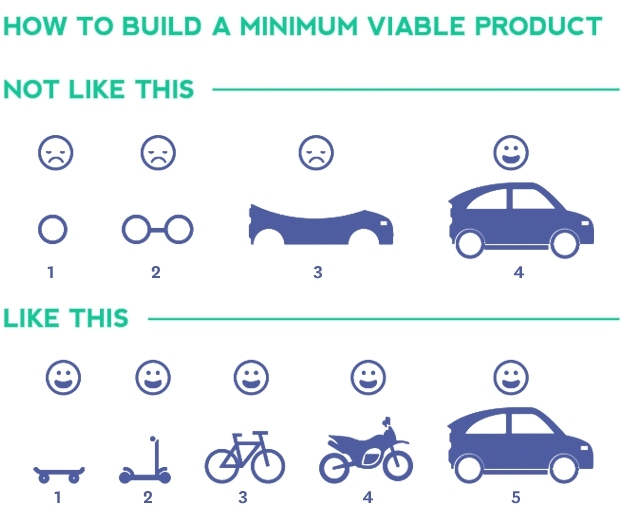 My suggestion: have a Minimum Viable Product at all stages of development. 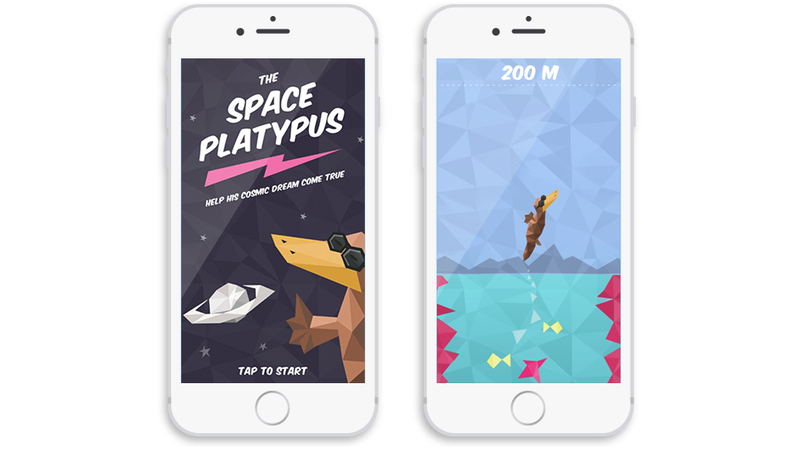 Build your way up from â€“ say â€“ a simple one-tapper to the stars! Whatâ€™s that? â€œMinimum Viable Productâ€ sounds way to corporate for indie game dev? Heck, youâ€™re right! OK then, letâ€™s call it the â€œMinimum Viable Platypusâ€ principle, shall we? Stay focused on fun, folks, and JUST DO IT!